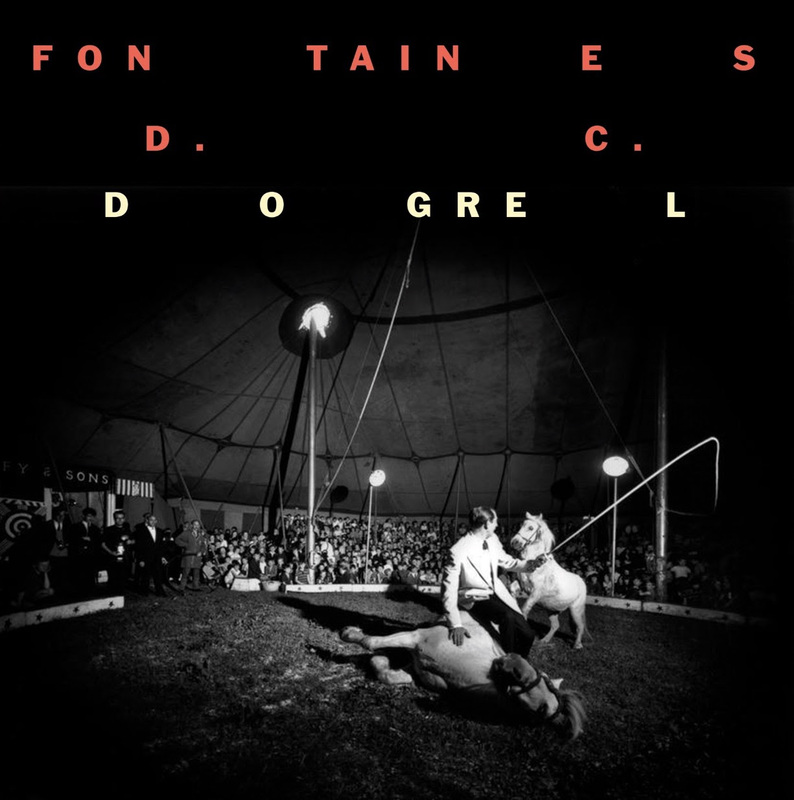 The true beauty of Fontaines D.C.’s debut album ‘Dogrel’ is that it’s one of those once-in-a-generation moments where a band steps into the limelight and so perfectly encapsulates a time and a place. 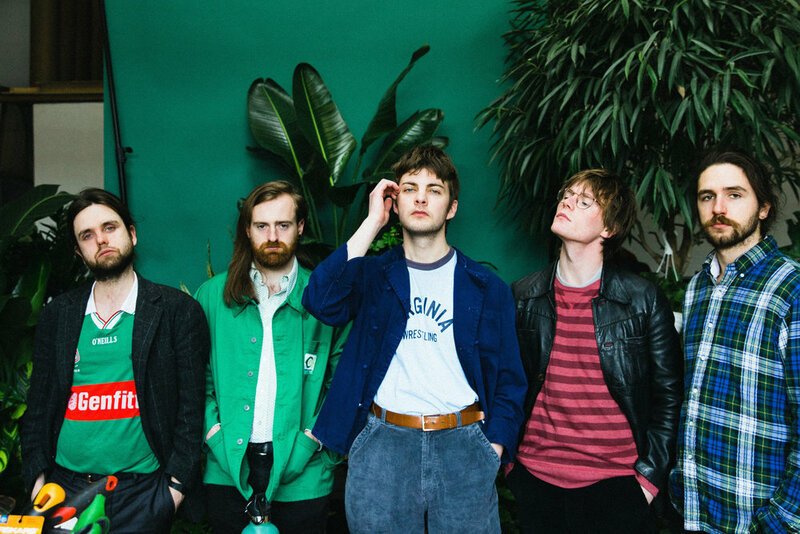 Despite the ruffling of clothing and hands fumbling with a headphone wire, it’s clear that this phone call is taking place in a non-stop, lively city: Grian Chatten and the rest of the band Fontaines D.C. – Tom Coll, Conor Curley, Carlos O’Connell and Conor Deegan III – are running around London, completing sound check ahead of their first live TV performance on Soccer AM, along with all the other necessary tasks of a band about to drop their debut album. Breathless from just making his train, Chatten is just as eloquent and introspective as when he’s intensely barking musings about his beloved Ireland. It feels very fitting talking about Dogrel – an album about a bustling Dublin stepping out of the long shadow of its history and embracing the future, out Friday April 12th – in a city that saw its music go through this same process decades earlier. Hearing Chatten and co. weave together such disparate inspirations is not a jarring experience, however. 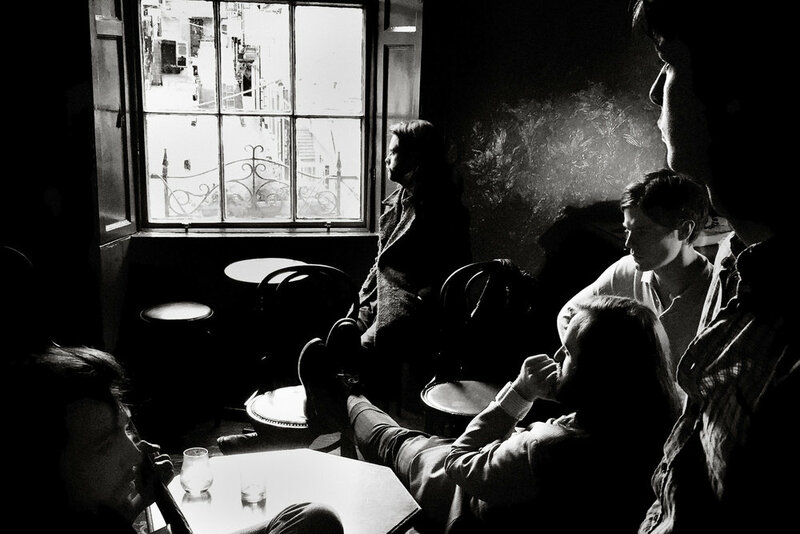 It’s an exciting trip, with each track making the listener explore Fontaines D.C.’s beloved, greasy-grimy Dublin in a new way. “I think the main thing that brings the record together and makes it work are Dan Carey’s production and the fact that all the songs come from an honest place. There’s only one character – my personality is all over the album as a lyricist and a vocalist. I think those two things are what tie the whole thing together,” Chatten offers of the band’s otherworldly, youth-stained take on punk. There’s a lot of variety, because we wanted to express different sounds on this album. I think a lot of bands are terrified of variety because they feel if they can shave their sound down into one fine point, one particular sound and emotion, it’ll make it more easily digestible. They’re afraid of having too big an emotional scope. I’m very proud that we avoided that. And this is the true beauty of Dogrel: It’s one of those once-in-a-generation moments where a band steps into the limelight and encapsulates a time and a place so perfectly. These records take the listener through the speakers and into a city they thought they knew — personally or culturally — and shows them a side of it they’d never dream existed. Look no further than The Strokes’ Is This It or Oasis’ What’s The Story Morning Glory? as examples of classic, musical tour guides: The grimy sound, the spat-singing attitude, and the intriguing self-reflection take us right to the heart of New York in the early 2000s. and lets us breath the smog and chavvy cologne of 1995’s Manchester. For Dogrel, drums as relentless as Dublin’s rain and lyrics steeped in poetic influence show you’re hearing a cultural revolution’s key tracks with a definite sense of place. He pauses, deliberately choosing his next words to truly hammer home the crossroads at which his nation stands. Dogrel brings back this pride in a big way; loud, brash, and unapologetic. The Pogues, The Dubliners, and U2 are replaced by a distortion-laden, eclectic approach wherein every song is a snapshot of 2019 Dublin. Chatten’s strong Irish brogue and beautiful poetry fighting for space next to the chaotic guitars perfectly mirrors the daily scenes of rushing trains, buses, and people in the centuries-old, romantic-style Dublin streets. The result sounds just like angry Beatniks, with Ginsberg-esque repetition and Kerouac-style colour. Want proof? Look no further than “Liberty Belle”: The building tension, the story of mundane life gone astray, sounds like poetry in motion. yeah, what you gonna do about it? However, this love of poetry started with a simple parental bribe: “I was introduced to Robert Louis Stevenson when I was ten years old by my dad. I wanted to be a footballer when I was a kid, so I used to collect these football stickers so I could finish the book. My dad told me he’d buy me a pack of stickers if I learned one of the poems so I learned about ten poems and he had to buy me ten packs of stickers,”Chatten remembers. How does a soccer book at age ten become a punk-poetry record at twenty-three? By sitting around a table with a beer, a notepad, and talking to your best friends about your feelings. “We feel things together because we hang out all the time, so there’s usually one dominant feeling that we can all share. So we sit down and discuss it” Chatten says. “We explain it to each other and we use very honest language to explain the collective feeling we have. Then when we know what the feeling is we try to capture that with music. I have lyrics already done for this because that’s how I cope with all these feelings in the first place.” This approach not only explains the eclectic sound, but also how that sound can completely capture the songs’ sentiment before a word is uttered. It’s a moment that truly captures what Fontaines are attempting to do; they want to reimagine their surroundings and force you to think about your own in the process. 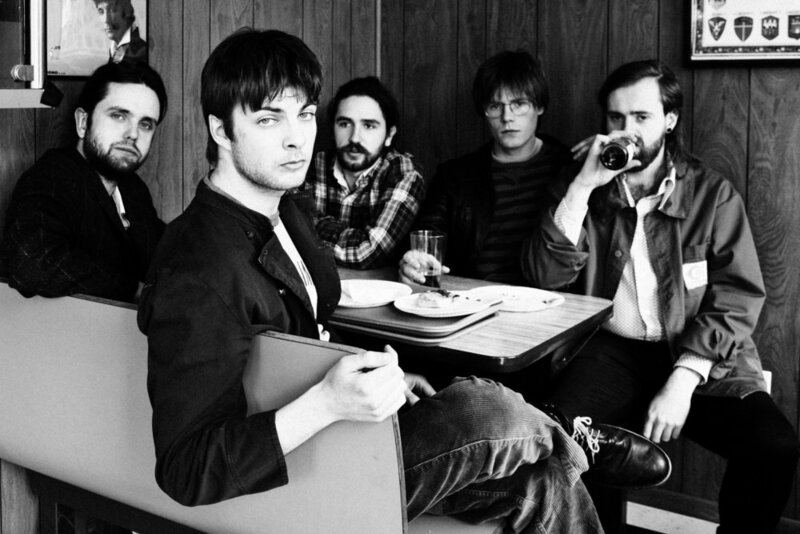 All the while, they’re blowing you away with quick beats and manic lyricism. This bears out in “Chequeless Reckless,” with Chatten’s spat manifesto being delivered over a repetitive, distorted guitar that continues as the backbone of the whole song. Ireland is at an interesting cultural crossroads, and Fontaines D.C.’s Dogrel stands as a signpost at this junction. Dogrel is out Friday, April 12 via Partison Records!